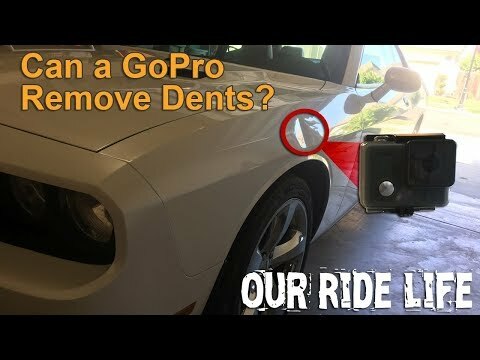 Can A GoPro Pull Out Dents? When your automobile gets a dent in it you simply can’t wait to get it out. For decent sized dents on largely flat panels a common technique is to use a suction cup. Auto parts stores sell suction cup dent pullers made for the job. But what if you want to save some cash? Sure you can go to the store and purchase one, but you may have something around the house that can do the job. For us that was a GoPro and we wanted to see if it would work to pull out the dent.